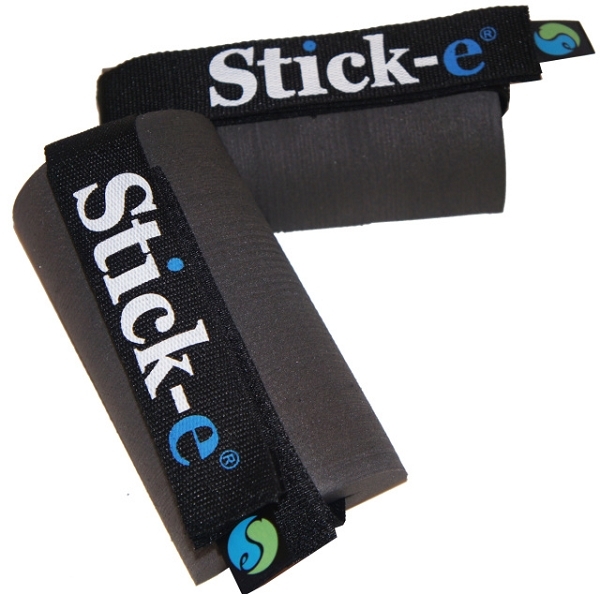 The Original Yoga Stick-e® Knee & Wrist Saver™ has a unique patent pending design that provides comfort and support to the wrists! 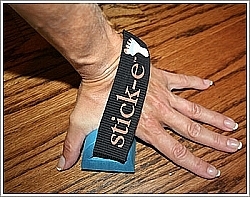 The Knee & Wrist Saver™ is designed to decrease stress in the delicate wrist joint. By elevating the heel of the hand, the Wrist Saver™ lessens extreme extension of the wrist, making exercises much more comfortable. They are also virtually weightless for continuous wear during a yoga session. They are non-slip, one size and orthopedic surgeon approved. Very pleased with this item, takes pressure off knees and wrist.